Jumpmaster had the most liked content! Jfrei, I agree strongly with Bronco and Gastone. It's time to get a knowledgeable legal beagle to help you win. Think about it this way sometime there's comes a time in life when it's better to get a good 80/20 split as we get older damn it's not bad to go no lower than 70/30 for peace of mind. Good luck and God Bless. Congrats it's encouraging to everyone still waiting. Enjoy Life, Good Health. celebrate this victory with your family. Hello Ms. Berta and Happy Thanksgiving, I posted Panama Herbicide Exposure research in reply to questions from Maestro and Sammy104 dated May 10 and October 16 posts. The Hadit Forum is a great place to research all Rainbow Herbicides, TCDD, Silvex, Tordon 101, Dioxin and Toxins use outside Vietnam. It takes many years of due diligence, research, sorting through (unredacted) herbicide inventories, camouflaged shipping documents, to uncover evidence and chemical ingredients within rainbow herbicides, that strengthen your exposure claim or appeal. The VA and JSRRC are adversarial, corrupt, and veterans die from presumptive diseases, waiting for SC and their exposure evidence is discounted by email from VA Comp Services using blanket denials…herbicides are not dangerous to veterans, and does l not cause the presumptive diseases listed…your exposure never happened according to our official VA and DOD records, and by the way that IOM list is erroneous…LOL Many veterans toss in the towel and give up because the VA and the JSRRC routinely lie, and interject the issue of “tactical” herbicides into debates when in reality, the phrase “tactical herbicides” merely has its origin in the “tactical deployment” of such herbicides during the Vietnam War. For years, VA and JSRRC have colluded and made the mistake of developing for evidence of herbicide use by limiting its inclusion of “tactical herbicides” to Agent Orange. In doing this, VA’s mistake is routinely failure to seek evidence of herbicide use that contains one or more of the listed “agents” at 38 CFR 3.307(a) (6). VA has pulled the (rope-a-dope) on veterans and maneuvered in partnership with JSRRC and only sought evidence of Agent Orange. However, the Army Supply Bulletin (SB 3-40 at 4) show that herbicide “Agent White” is “Picloram-Silvex Salt” otherwise known as “Tordon 101” aka “Agent White” ordered in a 55-gallon drum but the exact same herbicide could also be ordered in a 5-gallon drum by your grumpy unit Supply NCO and S3 staffers know that VA’s refusal to acknowledge herbicide exposure based on assertions that certain exposures were only to “commercial” herbicides which is a smokescreen to discourage veterans from further appeal of adverse decisions with new material evidence. BERTA SAID: I have problems with this statement. Can you give us the source of this: "The presumption acts to lessen the evidentiary burden on a veteran filing a claim for compensation. In other words, the veteran does not need to provide evidence of specific exposure to Agent Orange if the VA has already accepted that the veteran is presumed to have been exposed to Agent Orange." Yes, the Source comes from the PCZVA website including the following Q&A statement. "Although thousands of veterans served in the Panama Canal Zone, the Department of Veterans Affairs does not recognize it as a place in which veterans were exposed to tactical herbicides such as Agent Orange. Is that about to change? Is there now sufficient evidence to convince VA that Agent Orange was sprayed in the Panama Canal Zone?? I don’t have the answer to the first question. Frankly, I don’t know whether VA is ready to concede that Agent Orange was sprayed in the Panama Canal Zone. I do believe that there is sufficient evidence to convince VA in individual cases that veterans have been exposed to Agent Orange in the Panama Canal Zone. I’ll summarize and discuss the evidence for veterans who served in the Panama Canal Zone in future posts, but first, I want to explain a bit about Agent Orange and presumptive service connection for VA disability compensation." - Sean Ravin Review of your 13 hits reveals (WINNERS) SERVICE CONNECTED HERBICIDE EXPOSURE for three Panama Veterans highlight summary follows. ___________________________________________________________________________ REOPENED NEW EVIDENCE APPEAL GRANTED Citation Nr: 1606191 Decision Date: 02/18/16 Archive Date: 03/01/16 DOCKET NO. 03-20 523 ) DATE ORDER New and material evidence having been received, the claim of entitlement to service connection for asthmatic bronchitis, as a result of exposure to herbicides, is reopened, and the appeal is granted to this extent only. New and material evidence having been received, the claim of entitlement to service connection for uveitis of the right eye with increased ocular pressure and defective vision, as a result of exposure to herbicides, is reopened, and the appeal is granted to this extent only. New and material evidence having been received, the claim of entitlement to service connection for increased ocular pressure of the left eye with defective vision, as a result of exposure to herbicides, is reopened, and the appeal is granted to this extent only. REMAND At the time of its April 2009 remand as to the issues of entitlement to service connection for diabetes mellitus, type II, a skin disability, and sarcoid arthritis, each as a result of exposure to herbicides, the Board directed the AOJ to complete specific development of the Veteran's claims to comply with the directives of the November 2008 Joint Motion. It is clear that the salient issue before the Board, as to all of the disabilities currently on appeal, is whether the Veteran was exposed during service to herbicides and/or other chemicals during service. This issue has been complicated by multiple entities serving as record keepers and multiple requests made by the AOJ for information made numerous times over the course of the appeal. However, the Board requires additional development prior to adjudicating the Veteran's claims. In summary, the Veteran asserts that he was exposed to herbicides and/or chemicals during active service in the Panama Canal Zone and during service with the Army National Guard in Fort Drum, New York. The Veteran's service personnel records reflect that he was stationed in the Canal Zone in Panama, with the Co A 4th Bn 10th Inf, Fort Davis, from March 26, 1967, to December 7, 1968. Special orders indicate that the Veteran, assigned to the HHC 4th Bn 10th Inf, was temporarily assigned to duty at Fort Clayton, Canal Zone, on February 2, 1968; and was temporarily assigned to support the Jungle Operations Course at Fort Sherman, Canal Zone, from April 6, 1968, to May 15, 1968, with Co C 4th Bn 10th Inf. The Veteran submitted a certificate of completion of training given at the 1031st USAR School in West Hartford, Connecticut, dated in May 1979. A retirement points capture document in his service personnel records indicates that the Veteran had a period of ACDUTRA, noted above, dated from May 26, 1979, to June 9, 1979, in the Army National Guard in Connecticut. To date, the AOJ, over the course of the appeal, obtained the Veteran's service treatment and personnel records from his period of active service dated from January 1967 to December 1968, and there is no indication that there are outstanding service records related to that period of service. The AOJ has also obtained service treatment and personnel records from the Veteran's Army National Guard service in Connecticut, including his separation orders, his service separation document, his personnel qualification record, and a retirement credits capture document, as well as his September 1978 National Guard service entrance medical examination and history reports. The records gathered, despite the AOJ's requests to the National Personnel Records Center (NPRC), the Adjutant Generals in Mississippi and Connecticut, the Health Services, Medical Records Release, in Mississippi, and the Joint Force Headquarters, in Mississippi, are silent for evidence that the Veteran was assigned to any type of service in Fort Drum, New York, in 1979. The Board, in its April 2009 remand, directed the AOJ to seek outstanding records using alternative sources, using the information of record and any additional information the Veteran may provide. On remand, the AOJ should thus forward a NA Form 13055 to the Veteran in order to obtain any information that would be helpful in obtaining any outstanding service treatment and/or personnel records from his Army National Guard service in Connecticut, and conduct another search for such records based upon the Veteran's response. All requests should specifically seek records related to the location at which the Veteran was assigned during his period of ACDUTRA dated from May 26, 1979, to June 9, 1979, in the Army National Guard in Connecticut. Despite the AOJ's inquires over the course of the appeal, there is no evidence that the Veteran was exposed to herbicides during service in the Panama Canal Zone, and as discussed above, there is, as of yet, no evidence of any type of service in Fort Drum, New York, such that inquires as to any exposure in that location could be made. The Board, in its April 2009 remand, directed the AOJ to use official channels, such as the NPRC and the service department, to ascertain whether any unit to which the Veteran was assigned during his active service, including any ACDUTRA or inactive duty for training (INACDUTRA), was exposed to a herbicide agent, such as Agent Orange, and directed the AOJ to attempt to verify the Veteran's exposure to chemicals at Fort Drum, New York, during training in May 1979. The Veteran did not respond to the AOJ's March 2010 and May 2013 requests as to his alleged exposure and the AOJ, in Formal Findings dated in November 2013, March 2014, and April 2014, determined that sufficient information required to verify exposure to herbicides did not exist. On remand, the AOJ should provide the Veteran a final opportunity to describe his alleged exposure to herbicides and/or other chemicals during service, including in the Panama Canal Zone and at Fort Drum, New York. As noted above, the Veteran did not respond to the AOJ's March 2010 and May 2013 requests. The Veteran has submitted an April 2014 statement from a fellow service member reporting that on or about November 1, 1966, he was stationed in the Panama Canal Zone, specifically, Fort Davis and Fort Sherman. He reported that the Army tested herbicides, Agent Orange, and other chemicals there, and that he saw the use of Agent Orange, fire, and a bulldozer to clear foliage for a jump site and to manage the jungles, generally, at Fort Sherman. He asserted that the chemicals had to be strong, Agent Orange and other chemicals, in order to clear the foliage in Panama. Even if the Veteran does not respond to the AOJ's inquires as to the specifics of his in-service exposure to herbicides and/or other chemicals, the AOJ should request verification from the United States Army and Joint Services Records Research Center (JSRRC), using the information already of record, as to whether any unit to which the Veteran was assigned in the Panama Canal Zone and at Fort Drum, New York, was exposed to herbicides and/or other chemicals during any type of active service, and if any Army National Guard members from Connecticut were sent to Fort Drum, New York, from May 26, 1979, to June 9, 1979. Whether or not, if as a result of this remand, the AOJ is able to place the Veteran at Fort Drum, New York, from May 26, 1979, to June 9, 1979, and confirm that he was exposed to herbicides and/or other chemicals there, and/or confirm that he was exposed to the same during active service in the Panama Canal Zone, additional development is required in order the adjudicate the service connection claims on appeal. In short, the Veteran's updated VA and private treatment records should be obtained and associated with the claims file and he should be afforded VA examinations to determine the etiology of the disabilities claimed, outside of any disabilities presumed related to exposure to herbicides. In this regard, the Board notes that the Veteran asserts that all of the disabilities on appeal are related to in-service exposure to tactical herbicides, Agent Orange, and/or other chemicals. He has also asserted that his claimed PTSD is related to training troops that were going to the Republic of Vietnam during his service in the Panama Canal Zone. He also asserts that he experienced the beginning of his skin disability during active service. On his January 1976 service entrance report of medical history, the Veteran reported that he wore glasses. His service treatment records dated in February 1967 indicate that he complained of swollen feet, and in October 1967, he complained of left wrist weakness. In February 1968, he complained of chest pain over the sternum, and in June 1968 he complained of an injury to the left ankle and also complained of arthritis in the knees and ankles. On his service separation medical examination in November 1968, he presented with circular old scars of the bilateral legs. ___________________________________________________________________________________________ A WINNER!!! !....HERBICIDE EXPOSURE IN PANAMA SERVICE CONNECTION GRANTED Citation Nr: 1544458 Decision Date: 10/19/15 Archive Date: 10/29/15 DOCKET NO. 10-29 096 ) DATE On appeal from the Department of Veterans Affairs Regional Office in Cleveland, Ohio THE ISSUES 1. Entitlement to service connection for diabetes mellitus, type II, to include as due to herbicide exposure. 2. Entitlement to service connection for peripheral neuropathy of the left upper extremity, to include as secondary to diabetes mellitus, type II. 3. Entitlement to service connection for peripheral neuropathy of the right upper extremity, to include as secondary to diabetes mellitus, type II. 4. Entitlement to service connection for peripheral neuropathy of the left lower extremity, to include as secondary to diabetes mellitus, type II. 5. Entitlement to service connection for peripheral neuropathy of the right lower extremity, to include as secondary to diabetes mellitus, type II. 6. Entitlement to service connection for hypertension, to include as secondary to diabetes mellitus, type II. 7. Entitlement to service connection for nephropathy, to include as secondary to diabetes mellitus, type II. 8. Entitlement to service connection for bilateral optic nerve damage and retinal folds in both eyes, to include as secondary to diabetes mellitus, type II. REPRESENTATION Veteran represented by: Sean A. Ravin, Attorney WITNESSES AT HEARING ON APPEAL Veteran and Veterans Service Officer ATTORNEY FOR THE BOARD Journet Shaw, Associate Counsel INTRODUCTION The Veteran served on active duty from September 1966 to September 1968. This matter comes before the Board of Veterans' Appeals (Board) on appeal from a March 2008 rating decision by the Department of Veterans Affairs (VA) Regional Office (RO) in San Diego, California. The case has since been returned to the RO in Cleveland, Ohio. The Veteran and a Veterans Service Officer testified before a Veterans Law Judge (VLJ) at a March 2012 Travel Board hearing. A transcript of this hearing is of record. In February 2015, the Veteran was notified that the VLJ who held his March 2012 Board hearing was no longer employed by the Board. The Veteran did not respond to a request for another hearing. 38 C.F.R. § 20.717 (2014). In December 2012, the Board denied service connection for the issues on appeal. The Veteran appealed the Board's December 2012 decision to the United States Court of Appeals for Veterans Claims (Court). 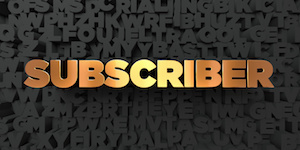 In a March 2014 memorandum decision, the Court vacated the Board's December 2012 denial of service connection for all of the issues on appeal and remanded the case for readjudication consistent with the decision. In addition to the paper claims file, there are Virtual VA and Veterans Benefit Management System (VBMS) paperless claims files associated with the Veteran's appeal. A review of the Virtual VA and VBMS claims files do not reveal any additional evidence pertinent to the present appeal. The Board also notes that there appear to be additional issues not yet certified to the Board. The issues of entitlement to service connection for hypertension, to include as secondary to diabetes mellitus, type II; entitlement to service connection for nephropathy, to include as secondary to diabetes mellitus, type II; and entitlement to service connection for bilateral optic nerve damage and retinal folds in both eyes, to include as secondary to diabetes mellitus, type II, are addressed in the REMAND portion of the decision below and are REMANDED to the Agency of Original Jurisdiction (AOJ). FINDINGS OF FACT 1. The evidence is at least in equipoise that the Veteran was exposed to herbicides while serving in the Panama Canal Zone. 2. The Veteran's diabetes mellitus, type II is presumptively related to his exposure to herbicides. 3. The Veteran was diagnosed with peripheral neuropathy of the left and right upper extremities. 4. The Veteran's peripheral neuropathy of the left upper extremity is a complication of his diabetes mellitus, type II. 5. The Veteran's peripheral neuropathy of the right upper extremity is a complication of his diabetes mellitus, type II. 5. The Veteran was diagnosed with peripheral neuropathy of the left and right lower extremities. 6. The Veteran's peripheral neuropathy of the left lower extremity is a complication of his diabetes mellitus, type II. 7. The Veteran's peripheral neuropathy of the right lower extremity is a complication of his diabetes mellitus, type II. CONCLUSIONS OF LAW 1. The criteria to establish service connection for diabetes mellitus, type II, have been met. 38 U.S.C.A. §§ 1101, 1110, 1112, 1113, 1116, 1131, 1137, 5103A, 5107 (West 2014); 38 C.F.R. §§ 3.102, 3.159, 3.303, 3.304, 3.307, 3.309 (2014). 2. The criteria to establish service connection for peripheral neuropathy of the left upper extremity, to include as secondary to diabetes mellitus, type II, have been met. 38 U.S.C.A. §§ 1110, 1131, 5107 (West 2014); 38 C.F.R. §§ 3.102, 3.303, 3.304, 3.310 (2014). 3. The criteria to establish service connection for peripheral neuropathy of the right upper extremity, to include as secondary to diabetes mellitus, type II, have been met. 38 U.S.C.A. §§ 1110, 1131, 5107 (West 2014); 38 C.F.R. §§ 3.102, 3.303, 3.304, 3.310 (2014). 4. The criteria to establish service connection for peripheral neuropathy of the left lower extremity, to include as secondary to diabetes mellitus, type II, have been met. 38 U.S.C.A. §§ 1110, 1131, 5107 (West 2014); 38 C.F.R. §§ 3.102, 3.303, 3.304, 3.310 (2014). 5. The criteria to establish service connection for peripheral neuropathy of the right lower extremity, to include as secondary to diabetes mellitus, type II, have been met. 38 U.S.C.A. §§ 1110, 1131, 5107 (West 2014); 38 C.F.R. §§ 3.102, 3.303, 3.304, 3.310 (2014). REASONS AND BASES FOR FINDINGS AND CONCLUSIONS The Veterans Claims Assistance Act of 2000 (VCAA) describes VA's duty to notify and assist claimants in substantiating a claim for VA benefits. 38 U.S.C.A. §§ 5100, 5102, 5103, 5103A, 5107, 5126 (West 2014); 38 C.F.R. §§ 3.102, 3.156(a), 3.159, 3.326(a) (2014). Given the Board's favorable decision in granting service connection for diabetes mellitus, type II, peripheral neuropathy of the left and right upper extremities, and peripheral neuropathy of the left and right lower extremities, the Board finds that all notification and development actions needed to fairly adjudicate the appeal have been accomplished. Service Connection Granted This case a somewhat long and detailed procedural history, which the Board will not belabor. However, the Board apologizes for the delay here at the Board of Veterans' Appeals, which this Board Member finds was unfortunate, at best. In any event, based upon a careful review of all of the evidence of record, which is extensive, the Board finds that the evidence is at least in equipoise that this Veteran was exposed to herbicides while serving in the Panama Canal Zone. Based on this Veteran's MOS, his credible lay testimony, and othe other evidence of record the Board concludes that this Veteran's duties regularly transporting supplies and troops into the jungle exposed him to herbicides. See Hudgens v. Gibson, 26 Vet. App. 558, 563 (2014) fn 5, ORDER Entitlement to service connection for diabetes mellitus, type II, is granted. Entitlement to service connection for peripheral neuropathy of the left upper extremity is granted. Entitlement to service connection for peripheral neuropathy of the right upper extremity is granted. Entitlement to service connection for peripheral neuropathy of the left lower extremity is granted. Entitlement to service connection for peripheral neuropathy of the right lower extremity is granted. ____________________________________________________________________________________________ Joint Motion Remand Decision FROM 2004 Citation Nr: 0913325 Decision Date: 04/09/09 Archive Date: 04/21/09 DOCKET NO. 03-20 523 ) DATE On appeal from the Department of Veterans Affairs Regional Office in Jackson, Mississippi THE ISSUES 1. Entitlement to service connection for diabetes mellitus type II, as a result of exposure to the herbicide Agent Orange. 2. Entitlement to service connection for a skin condition, as a result of exposure to the herbicide Agent Orange. 3. Entitlement to service connection for sarcoid arthritis (claimed as a disability of the bones and muscles), as a result of exposure to the herbicide Agent Orange. REPRESENTATION Appellant represented by: Sean A. Ravin, Attorney at Law ATTORNEY FOR THE BOARD C. Eckart, Counsel INTRODUCTION The Veteran served on active duty from January 1967 to December 1968. Available service personnel records further reflect that the Veteran had service in 1979, and the Veteran has averred he served in the Reserves. This service has not been verified, and the National Personnel Records Center (NPRC) has indicated that he served no active duty for training (ACTDTRA). This appeal comes before the Board of Veterans' Appeals (Board) from a rating decision rendered in May 2002 by the Department of Veterans Affairs (VA) Regional Office (RO) in Jackson, Mississippi. In August 2004, the Board remanded this matter for additional development. Thereafter, the case was returned to the Board for further consideration. In August 2007, the Board denied the claims. The Veteran appealed this decision to the United States Court of Appeals for Veterans Claims (Court), which in November 2008 granted a Joint Motion for Remand, and remanded it to the Board to address due process and evidentiary deficiencies. The Board in August 2004 and again in August 2007 also referred claims of service connection for extreme mental anguish, anxiety, and nightmares, shortness of breath, constant stinging in the chest, respiratory cancers, Hodgkin's disease, and high blood pressure to the RO for appropriate action. Such matters remain pending and are again referred to the RO for appropriate action. The appeal is REMANDED to the Agency of Original Jurisdiction (AOJ) via the Appeals Management Center (AMC), in Washington, DC. VA will notify the appellant if further action is required. REMAND As pointed out in the Joint Motion, further development is necessary to ensure compliance with the Board's August 2004 remand. Stegall v. West, 11 Vet. App. 268 (1998). Specifically, it was pointed out that the Board failed to comply with the previous remand by failing to conduct a thorough and exhaustive search for the Veteran's service records. The history as noted by the previous remand, included his allegations of being exposed to Agent Orange while in training at Fort Drum, NY in 1979. In support of this allegation, he has submitted a certificate of completion of 126 hours of training, dated in May 1979. He also alleged exposure to Agent Orange while stationed on active duty in Panama. Service treatment records reflect that the Veteran was stationed in the Canal Zone in 1967. The Veteran has submitted numerous articles from websites and other publications which present various theories to confirm the use or presence of Agent Orange and other chemicals in Panama. The Joint Motion pointed out that the Board's remand directives in regards to obtaining records through the National Personnel Records Center (NPRC) and the service department were not fully followed. It was pointed out that in a March 2005 letter the Adjutant General's Office of the Department of the Army and Air Force informed the VA that it could not locate any records for the Veteran and advised the VA to contact the records from the Army/Air Reserve Personnel Center in St. Louis, Missouri. _________________________________________________________________________________________ Citation Nr: 1236710 Decision Date: 10/23/12 Archive Date: 11/05/12 DOCKET NO. 05-33 561 ) DATE On appeal from the Department of Veterans Affairs Regional Office in Waco, Texas THE ISSUES 1. Entitlement to service connection for Type II diabetes mellitus, to include as secondary to herbicide exposure. 2. Entitlement to service connection for prostate cancer, to include as secondary to herbicide exposure. 3. Entitlement to service connection for impotence, to include as secondary to diabetes mellitus. 4. Entitlement to service connection for peripheral neuropathy of both upper and both lower extremities, to include as secondary to diabetes mellitus. REPRESENTATION Appellant represented by: Sean Kendall, Attorney at Law ATTORNEY FOR THE BOARD A. Barone, Counsel INTRODUCTION The appellant is a Veteran who served on active duty from June 1973 to June 1975. These matters are before the Board of Veterans' Appeals (Board) on remand from the United States Court of Appeals for Veterans Claims (Court). They were originally before the Board on appeal from a September 2004 rating decision of the Department of Veterans Affairs (VA) Regional Office (RO) in Waco, Texas. In September 2010, the Board upheld the RO's September 2004 denial of service connection for type II diabetes mellitus, prostate cancer, impotence, and peripheral neuropathies. The Veteran appealed that decision to the Court. In May 2012, the Court issued an order that vacated the September 2010 Board decision and remanded the matters on appeal for readjudication consistent with the instructions outlined in an April 2012 Joint Motion for An Order Vacating and Remanding The Board Decision on Appeal (Joint Motion) by the parties. The Board's September 2010 decision also included the additional issues of (1) entitlement to service connection for depression and (2) whether new and material evidence has been received to reopen a claim of service connection for a heart disorder, claimed as coronary artery disease (CAD). These two issues were remanded by the Board to the RO for additional development; they were not part of the appeal to the Court. The Board notes that the RO has not re-certified these two issues to the Board following the September 2010 remand. 38 C.F.R. § 19.35 (2011) specifically provides that certification is for administrative purposes and does not serve to either confer or deprive the Board of jurisdiction of an issue. It is the Board's responsibility to determine its own jurisdiction. 38 U.S.C.A. § 7104 (West 2002); 38 C.F.R. § 20.203 (2011). The Board has determined that it is not appropriate to at this time take jurisdiction over these issues which the Agency of Original Jurisdiction (AOJ) has not re-certified to the Board. Although the AOJ has taken steps towards completing the development directed by the Board, the issues do not appear to be fully prepared for appellate review. The AOJ has not issued a new supplemental statement of the case (SSOC) to readjudicate the remanded issues following the completion of additional development (the Board has reviewed both the physical claims file and the "Virtual VA" electronic claims file in this regard). The appeal is REMANDED to the Department of Veterans Affairs Regional Office. VA will notify the appellant if further action on his part is required. REMAND In a decision issued in September 2010, the Board denied the Veteran's claims of service connection for Type II diabetes mellitus, prostate cancer, impotence, and peripheral neuropathy of both upper and both lower extremities. In May 2012, the Court endorsed a Joint Motion that determined that the Board did not ensure that VA adequately assisted the Veteran in attempting to obtain evidence necessary to substantiate his claim, and that the Board did not provide an adequate statement of reasons and bases for denying the Veteran's claims. The Joint Motion explained that VA should attempt to obtain the Veteran's service personnel records (SPRs) and must take further steps to develop evidence of the Veteran's alleged exposure to Agent Orange. The Joint Motion found that because the Veteran has provided evidence of his service in Panama in the early 1970s, as well as "speculative" evidence of the use of Agent Orange in Panama in the early 1970s, "it is possible that obtaining [the Veteran's] SPRs would aid in supporting his claim." The Joint Motion instructs that "the Board should ensure that the Agency contacts the appropriate service department in an attempt to obtain [the Veteran's] SPRs." The Joint Motion also found that the Board did not discuss the VA Adjudication Procedures Manual (M21-1 or M21-1MR) provision pertaining to developing claims based on Agent Orange exposure, other than in Vietnam or certain parts of Korea. The Veteran's service connection claims addressed at this time all arise from his contention that he has type II diabetes mellitus and prostate cancer as a result of exposure to herbicides during service in Panama. Under 38 U.S.C.A. § 1116; 38 C.F.R. §§ 3.307(a)(6), 3.309(e) if he is shown to have been exposed to herbicides/Agent Orange in service, his type II diabetes and prostate cancer may be presumed to be service connected. Under 38 C.F.R. § 3.307(a)(6), the presumption of exposure to Agent Orange in service applies only to Veterans who served in Vietnam. However, it has been acknowledged that the military used Agent Orange in locales other than Vietnam. As discussed by the Joint Motion, VA has developed specific evidentiary procedures to verify whether a Veteran was exposed to herbicides in locations other than Vietnam. M21-1MR, Part IV, Subpart ii, Chapter 2, Section C, para. 10(0), provides that if a Veteran alleges Agent Orange exposure in locations other than Vietnam, certain parts of Korea, or Thailand, the RO should ask the Veteran for the approximate dates, location, and nature of the alleged exposure. If this information is not received from the Veteran within 30 days, the RO should refer the case to the Joint Services Records Research Center [JSRRC] coordinator to make a formal finding that sufficient information required to verify herbicide exposure does not exist. Id. If the RO does receive the information, it should furnish the Veteran's detailed description of exposure to Compensation Service and request a review of DoD's inventory of herbicide operations to determine whether herbicides were used as alleged. Id. The Joint Motion directed that the Board should ensure that the Veteran's claims are properly developed in accordance with those provisions of the VA Adjudication Procedures Manual pertinent to the case. It does not appear that the evidentiary development procedures required when there is an allegation of exposure to Agent Orange in a location such as Panama have been followed. The United States Court of Appeals for Veterans Claims (Court) has consistently held that evidentiary development procedures provided in the Adjudication Procedure Manual are binding. See Patton v. West, 12 Vet. App. 272, 282 (1999) (the Board failed to comply with the duty-to-assist requirement when it failed to remand the case for compliance with the evidentiary development called for by M21-1). As the allegation of herbicide exposure in Panama cannot be resolved based on the current record, further development of pertinent evidence is necessary. The Veteran's claims of service connection for impotence and for peripheral neuropathy of both upper and both lower extremities feature theories of entitlement that these disabilities are secondary to diabetes mellitus or possibly prostate cancer. The impotence and peripheral neuropathy claims are therefore inextricably intertwined with the claims of service connection for type II diabetes mellitus and prostate cancer (the secondary service connection aspect of the claims cannot be properly addressed until the matters of service connection for type II diabetes mellitus and prostate cancer are resolved). Accordingly, consideration of the claims of service connection for impotence and peripheral neuropathy of both upper and both lower extremities must be deferred until the matters of service connection for type II diabetes mellitus and prostate cancer are decided. See Harris v. Derwinski, 1 Vet. App. 180, 183 (1991) (where a claim is inextricably intertwined with another claim, the claims must be adjudicated together). Accordingly, the case is REMANDED for the following action: 1. The RO should obtain for the record copies of the Veteran's complete service personnel records. If they cannot be located, the RO should ask the Veteran to provide copies of all personnel records he has in his possession. 2. The RO should ask the Veteran for the approximate dates, location, and nature of his alleged exposure to Agent Orange or other pertinent herbicides in Panama. After he responds, the RO shall determine whether the information he supplied is sufficient to adjudicate the claim (i.e. seek verification of the alleged exposure). If so, the RO should request from the C&P Service a review of the inventory of herbicide operations maintained by the Department of Defense (DOD) to determine whether herbicides were used or tested as alleged by the Veteran. If the exposure is not verified by the request to C&P, verification should be sought from JSRRC. The RO should forward a list of the Veteran's service dates and duty locations as well his contentions regarding the nature of his exposure to herbicides in service to JSRRC and request verification of his exposure to herbicides. The results of this development should be outlined in a memorandum for the record. If the information is insufficient, or if the Veteran does not timely respond regarding his alleged exposure, the RO forward the case to a JSRRC coordinator for a formal finding that the information provided is insufficient to verify the Veteran's exposure to herbicides in service. 3. The RO should then readjudicate the Veteran's claims of service connection for type II diabetes mellitus and prostate cancer (to specifically encompass the herbicide exposure the Veteran has alleged). The adjudication process must include a specific finding of whether or not the Veteran's allegations of herbicide exposure are verified. If service connection for type II diabetes or for prostate cancer is granted, the RO should arrange for any further development indicated (e.g., a nexus opinion) as to the secondary service connection theories of entitlement. The RO should then also readjudicate the matters of service connection for impotence and peripheral neuropathy of both upper and both lower extremities, to encompass as secondary to diabetes or prostate cancer. If any claim remains denied, the RO should issue an appropriate SSOC and afford the Veteran and his attorney the opportunity to respond. The case should then be returned to the Board, if in order, for further review. The appellant has the right to submit additional evidence and argument on the matters the Board has remanded. Kutscherousky v. West, 12 Vet. App. 369 (1999). These claims must be afforded expeditious treatment. The law requires that all claims that are remanded by the Board of Veterans' Appeals or by the United States Court of Appeals for Veterans Claims for additional development or other appropriate action must be handled in an expeditious manner. See 38 U.S.C.A. §§ 5109B, 7112 (West Supp. 2011). _________________________________________________ George R. Senyk Veterans Law Judge, Board of Veterans' Appeals Under 38 U.S.C.A. § 7252 (West 2002), only a decision of the Board of Veterans' Appeals is appealable to the United States Court of Appeals for Veterans Claims. This remand is in the nature of a preliminary order and does not constitute a decision of the Board on the merits of your appeal. 38 C.F.R. § 20.1100(b) (2011). Panama 2,4D, 2,4,5-T, Silvex, Paraquat, Diaquat, Pesticides Toxins Research The Museum of Natural History in Washington D. C. wrote about Fort Sherman “Agent Orange was first used here, at Fort Sherman.” Smithsonian also taught a class through STRI Office of Education, Marine Environmental Program bridging STRI’s Marine Education Program Activities with Panamanian Curricula: A Synergistic Approach, called “Pesticides In Panama: How Serious Are They?” In this curriculum, they talk about Agent Orange used off the coast of Panama. They also state that Panama imports 700 million tons of pesticides per year. [my emphasis] As seen on the U.S. Exports List, 2,4-D & 2,4,5-T (Agent Orange) was shipped to Panama and used in Panama for over 20 years. And as seen on these shipping records from November 1973, this 5120620, 2,4-D & 2,4,5-T was the exact same mixture used in Vietnam, as the State Department verified to Congress in the 1973 Hearing. This was NOT a different commercial mixture as Alvin Young has claimed in the past. As seen on the various reports quoted in this book, many of the pesticides that are now known to cause great harm to the environment and humans were used routinely for decades in the Panama Canal Zone: chlordane, silvex, paraquat, diquat, gramaxone, copper sulphate, endothall, DDT, BHC, trichlorobenzene, sodium arsenite, pentachlorophenol, sodium flurosilicate, copper ammonium fluoride, aldrin, dieldrin, heptachlor, PCBs, arsenics, lead, mercury, and many others. As seen on the Termite report by the USDA, many of these were routinely used in Panama Canal Zone. “Table 2 titled Schedule B Commodity by Country Domestic/Merchandise (http:// catalog.hathitrust.org/ Record/ 000497548) clearly shows the transport and exportation of the herbicides 2,4-D and 2,4,5-T to Panama 1973-1977. The very fact that 2,4,5-T was used is sufficient grounds to conclude that TCDD was applied wherever 2,4,5-T was used as a vegetation control agent. The TCDD content of the 2,4,5-T varied over time, but regardless, it was present in this herbicide and introduced to the PCZ environment. Unfortunately for service personnel, there were no attempts, to my knowledge, to ascertain the TCDD content of 2,4,5-T used in the PCZ or, for that matter, in PCZ soils or any other environmental media. TCDD in soil can remain a toxic component of the environment for over 100 years (Paustenbach, et al., 1992).” For decades the government denied the existence of Agent Orange in Okinawa too. The U.S. Army Environmental Hygiene Agency was the depository of all Pesticide Use Reports for the military. The U.S. Army Hygiene Agency was to monitor military bases for safety/ storage/ use twice per year per the CFR. They monitored for pesticides in the Panama Canal Zone, report dated December 1, 1976. They monitored for 2,4-D & 2,4,5-T, as well as Silvex, which also contained TCDD dioxin. In fact, 2,4-D, half of Agent Orange, had been used in Gatun Lake since 1948. The Smithsonian Tropical Research Institute (STRI) has been in the Canal Zone since Lake Gatun was created in 1924. Smithsonian had been on the island of Barro Colorado Island in the middle of Gatun Lake studying the flora. FM 3-3, Agent Orange was commercially available, and in the Congressional Hearing at Reference 4 that SIC 5120620 was the same item shipped to defoliate in Vietnam. And this SIC 5120620 item, 2,4-D & 2,4,5-T was shipped to Panama for over 20 years. When Silent Spring came out and President Kennedy appointed a Presidential Advisory Committee to study the way pesticides were being used around the nation and by the Federal Government. In 1963, they damn well knew that the Secret tests were happening where military and their families were stationed in Panama, and had been going on since 1943. How can they not know we as a group of people who were exposed exist for their “group study” of people with long-term exposure issues? Yet still all of these Panama Veterans are forgotten. When the U.S. left Panama in 1999, the U.S. military base contamination and clean-up in Panama began on San Jose If you’ve been diagnosed with any AO presumptive disease please file your claim and join the Panama Veterans Groups on Facebook. The HERBICIDE exposed Panama veterans are passengers on VA’s Agent Orange Cruise Ship along with veterans that served at Fort McClellan. Keep fighting to service connect your presumptive disease until last breath. Please check out the PCZVA website and buy the “Travels of Orange” book from Amazon. Mission Statement The Panama Canal Zone Veterans Association (PCZVA) was formed to advocate on behalf of veterans, as well as their dependents, who served in the Panama Canal Zone. It is our belief that there is now sufficient evidence to prove in individual cases that veterans who served in the Panama Canal Zone were exposed to the dioxin TCDD found in Agent Orange. Veterans of the Vietnam era who were stationed in the Panama Canal Zone and have one of the presumptive diseases linked to Agent Orange exposure are entitled to presumptive service connection. If a presumptive disease is diagnosed, the veteran is entitled to disability compensation based on the presumptive disease. In the case of Agent Orange, Vietnam era veterans are presumed to have been exposed to Agent Orange based on where they served or their specific occupational duties. The presumption acts to lessen the evidentiary burden on a veteran filing a claim for compensation. In other words, the veteran does not need to provide evidence of specific exposure to Agent Orange if the VA has already accepted that the veteran is presumed to have been exposed to Agent Orange. Unfortunately, the VA has not accepted the shipment, storage, or use of Agent Orange in Panama for all Panama Veterans. We hope that by establishing PCZVA, we will be able to end this travesty and convince the Department of Veterans Affairs to add the Panama Canal Zone to the list of locations where the dioxin TCDD was stored and sprayed. Donna Tornoe has brought forth her passion and her research in her book The Travels of Orange, proving that Agent Orange was, indeed in Panama, and shipped there for over 20 years. Sean Ravin, an attorney accredited by VA to represent veterans, has litigated successfully on behalf of veterans who served in the Panama Canal Zone. Together, we share a common belief that veterans who served in the Panama Canal Zone are entitled to due process of law and compensation for diseases due to Agent Orange exposure. If you served in the Panama Canal Zone and believe that you have been diagnosed with a disease or disorder that is due to exposure to Agent Orange, please call Donna at 202-997-7085.
Review the Health Effects in Vietnam Veterans of Exposure to Herbicides—Tenth Biennial Update – The Agent Orange Act of 1991, extended by Public Law 107-103, direct the Secretary of Veterans Affairs to contract with the NAS to conduct a comprehensive review of scientific and medical literature on health effects from exposure to Agent Orange, and to conduct biennial updates. The statute directs each new NAS committee to determine, to the extent that scientific data permit, meaningful determinations: See more at: http://nationalacademies.org/hmd/Activities/Veterans/HealthEffectsVietnamVeteransHerbicides.aspx Download the PDFs: It may help veterans diagnosed with presumptive Bladder Cancer, Hyperthyroidism and Parkinson Disease or Parkinsonism (Parkinson-like-Symptoms) denied SC years earlier for association with Agent Orange. Especially, for numerous veterans that served Outside of Vietnam and denied disability based on inadequate herbicide associated Agent Orange direct exposure evidence. Don’t forget that the VA and DOD withholds the essential medical or scientific facts, from veterans that proves your Outside of Vietnam herbicide exposure. It’s up to everyone to dig up the hidden exposure facts that prove your own herbicide exposure during service. Keep fighting for SC and never, ever, give up, and Whenever, the VA denies your claim. Relax, Breathe, then lock and load, aim accurately at your herbicide exposure target, breathe again, and rapid fire away down the VA RANGE --with armor-piercing VA NOD and Appeals evidence that results in service connection. http://www.nap.edu/download.php?record_id=21845# Additional major findings in the 1,000-plus page report, released March 10, 2016, included Parkinsonism and Parkinson’s-like symptoms and spina bifida. IOM announced bladder cancer and hypothyroidism were upgraded to “limited or suggestive evidence” of a link between the diseases and exposure to Agent Orange. This was a change from the Update 2012 category of “inadequate or insufficient.” IOM also added “Parkinsonism” and “Parkinson’s-like symptoms” to the list for “limited or suggestive evidence” of an association. In the report, the IOM Committee noted that, “…there is no rational basis for an exclusion of those with Parkinson-like symptoms from the service-related category denoted as Parkinson disease. To exclude a claim for a condition with Parkinson-like symptoms, the onus should be on VA on a case-by-case basis to definitively establish the role of a recognized etiologic factor other than the herbicides sprayed in Vietnam.” Parkinson’s disease was added to the Department of Veterans Affairs’ presumptive service connection list on August 31, 2010. In a rare move, the IOM downgraded spina bifida to “inadequate or insufficient evidence to determine an association.” The birth defect has been in the “limited or suggestive” category of association for children of all Vietnam Veterans since Update 1996. Agent Orange Double Whammy For Korean Dmz Vets! Bronco, I agree strongly with all repliers....frustration is mental torture you've been through other battles and won in years past. Hey buddy you're at a point where you need to take a few days of tactical R&R go through the RD with a fine tooth comb. You've inspired a lot of people at this site over the years...I am one who can say that even where all the evidence is there to prove your claim most raters will never connect the dots. It happened to me and when I reached my final point of frustration and clearly saw all pieces of my evidence puzzle were in place I hire my attorney and stepped back to take care of my health and that was one of the smartest decision I made during my VA war. Never give up until the last breath leaves your nostrils. We are here to encourage each other no matter how long the battle takes. God bless you and your family. 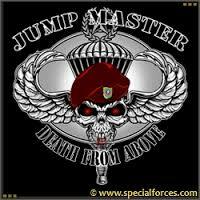 Jumpmaster. DFAS AUDIT POST UPDATED On July 31, 2015 retiree account statement message section online states base on information received from the VA your CRDP amount is XXXXX dollars. The nice DFAS customer friendly lady advised there's no completion date, your RD award letter is in file but nothing has been done, because it had not been entered by VA folks and gave me the call Peggy at 1-800-827-1000 when I started to laugh, she cracked up in laughter and said it takes 30-60 days to complete after VA INITIATES the audit. but I don't see any date from VA.. I called Peggy and advised DFAS stated nothing should have been withheld for verified 20 yrs or more service. Peggy said duhhhhh I don't know sir but I'll send a message they have 10 days to reply. Being persistent and turning up the heat on ineffectiveness may result in someone at VA to moving forward on important matters such as payout of your CRDP retro. The DFAS audit completed August 13, 2015 and direct deposit of withheld retro hit my account on August 25, 205. If there are other retirees still in waiting more than 30-60 days try calling DFAS at 1-800-321-1080 to verify audit status. You can also fax your rating decision to kick start action at DFAS but remember the initiator that starts the Audit remain at the VARO. Wouldn't it be nice if the major VSO's inside the RO could start a project that eliminated the military retiree audit process. I think the VA should pay out verified retiree retro in one lump sum after you win your claim. A check box for raters should work well within the VA's new technology improvements. I'm shocked that Houston RO acted faster than expected so I'm giving them a positive shout out and thank them for their service delivery of benefits for my family. God bless everyone at Hadit retirees become proactive and unclog your retro withheld for CRDP audit. JMHO. Dependent Claim Done in a Day! Congratulations on the add of dependents Julie1975.